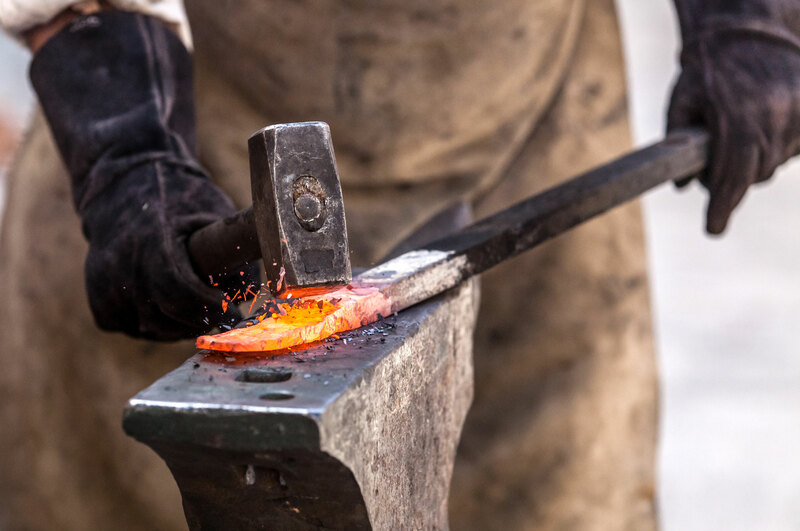 Iron is a material that has been used to forge weapons and sharp-pointed work tools, since as early as the 1st millennium BC. It was considered a rare material because of the difficulties for its extraction. It first appeared in Europe between 1000 and 700 BC, mostly in Greece and Etruria. 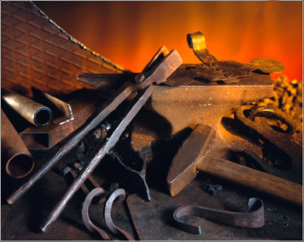 In the Middle Ages iron and the art of wrought iron established itself permanently. As a result of the barbarians’ integration with the roman people, iron started to be used also for decorations and furnishings for daily use: the first only used iron to forge weapons, while the latter were already aware of refined style and shape. In Germany a style with typical rigid and squared shapes spread, while in France the production of fences, gratings, and stair railings started; this production lasted until the 1700s. In Italy, during the Middle Ages and the Risorgimento, a more classical style compared to other countries started to spread; however, also in Italy decorations became stylized and almost unimaginative again between the 1800s and 1900s. The wrought iron appeared again only in the second half of the 20th Century. Contact us now for any information or to receive a free personalized cost estimate, without obligation.